Mobile VR has the largest reach for companies interested in using it as part of their digital marketing campaign mix. It is a great platform for short form narrative experiences and product demonstrations. 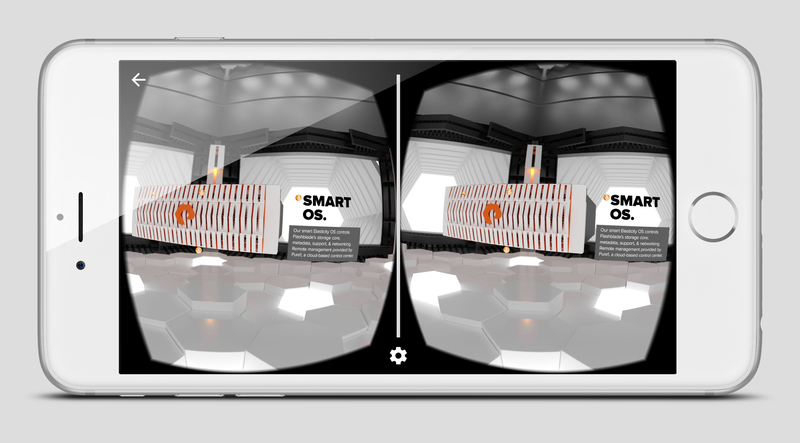 Our team will help you navigate the mobile VR landscape and advise you on a strategy to go to market with your campaign. Productions and development schedules vary, based on the project. However, most productions are like a traditional broadcast shoot. Groove Jones uses camera rigs for specific shots. Here is the Jaunt One camera we are using for our high-end stereoscopic shoots. Our 360º team and camera equipment has a small footprint compared to traditional broadcast video production. We have experienced directors, whose lives are dedicated to designing and shooting 360 productions. We can work with your Directors and help them to plan and shoot for 360. We provide all the gear needed from cameras, to grip, to audio. Our normal team consists of a Director, First A/D, Director of Photography, 360 Sound Recordist, and Digital Image Technician. Viewing the content in one of our editing suites. For quick shoots we can use smaller GoPro units to get in and out. For the NASCAR VR experience we needed a small camera rig that could be attached to the vehicle’s windshield. Every project has an element that needs to be created. We often add graphics or VFX to enhance the story. For NASCAR, we had to create 30 seconds of animation that simulated what it felt like to be in a car crash on the track. Below is an overview of that process. Simple graphic treatments help highlight elements within the video. 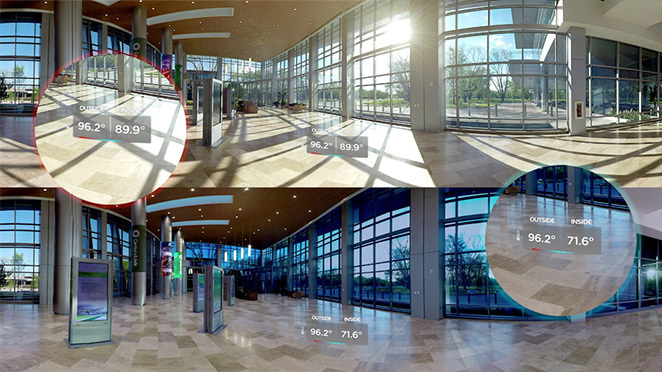 Part of the Century Link VR experience our team added graphics within the space to highlight the temperature changes. 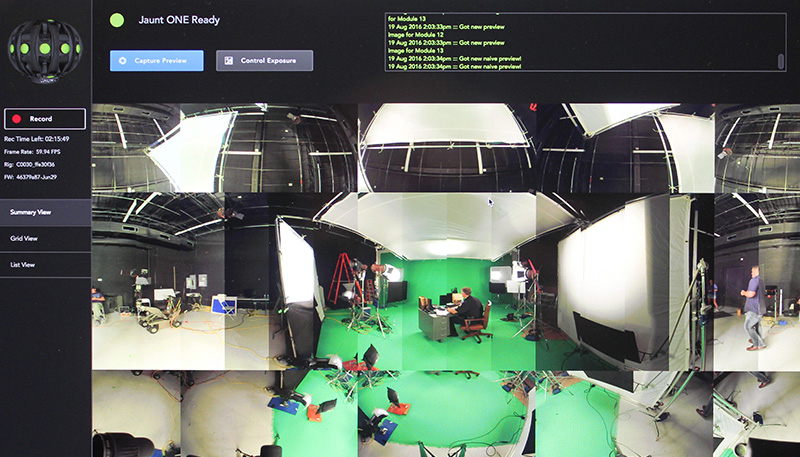 As the 360º video is in post-production, our software engineers are often developing the mobile App to play the video. Groove Jones has a VR viewer that we license to our clients. This often reduces the production time and provides a time-tested software solution. 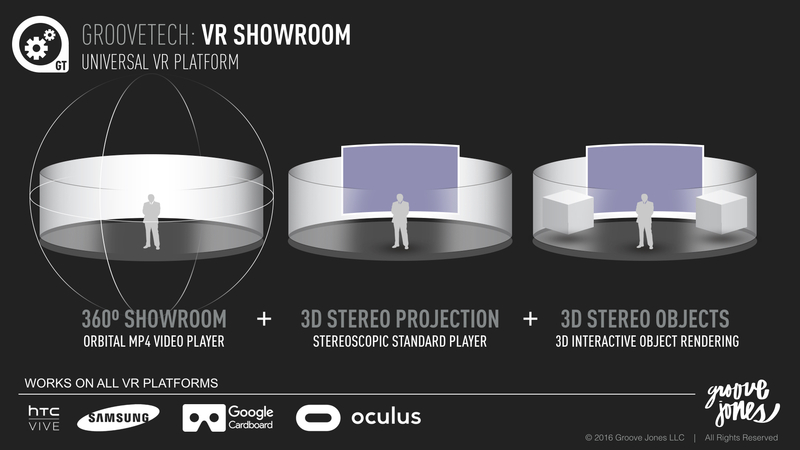 Our VR Showroom App gives our clients multiple options – 360º Orbital MP4 Player, standard 3d Stereo Projection Viewer and the ability to render 3d Interactive Objects in real time. Mobile App for Pure Storage showcases their hardware in a 360º environment and allows users to interact and view the storage bladed from all directions. 360º Videos are highly portable. There are numerous options for playback including both desktop and mobile options. View your 360º videos productions on desktop via 360º players like YouTube and Facebook or mobile. 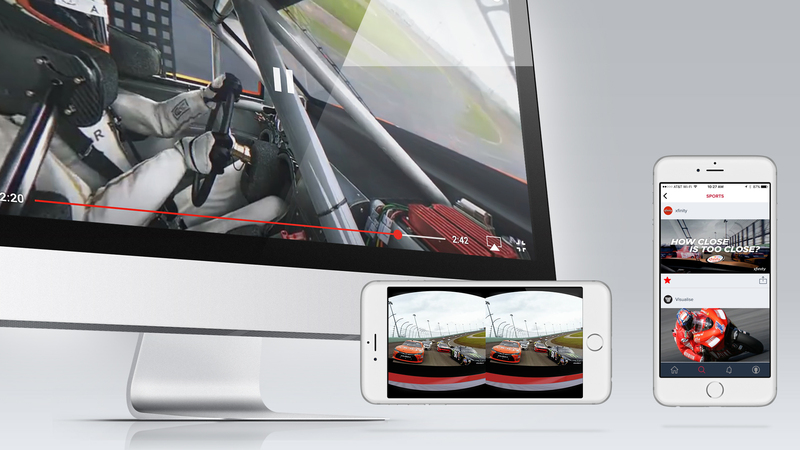 For the Xfinity NASCAR VR experience, the content was released on both desktop and mobile platforms. It became one of the Top 10 360º videos on YouTube with no marketing dollars driving those views. Groove Jones is an approved Samsung Developer, who can build and deploy content on their platform. We use Samsung Gear VR headsets for most of our activations. These are cost effective, great out in the field and can be controlled via a remote. Learn more about how we work with Samsung here. 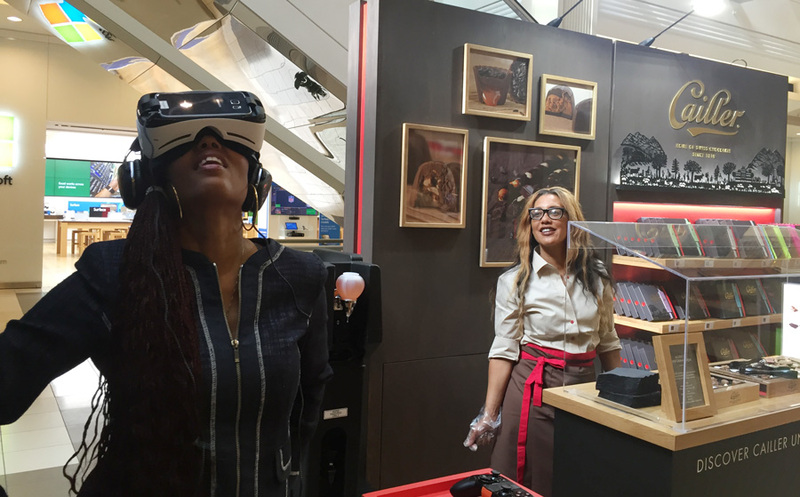 Nestle uses the Samsung Gear VR for the Cailler Chocolate campaign. Google Cardboard headsets are built out of simple, low-cost components. The headset specifications were originally designed by Google, but there is no official manufacturer or vendor for the device. Instead, Google made the list of parts, schematics, and assembly instructions freely available on their website, allowing people to assemble Cardboard themselves from readily available parts. Groove Jones is an approved iOS and Google Play Developer and can build and deploy content on their platforms. 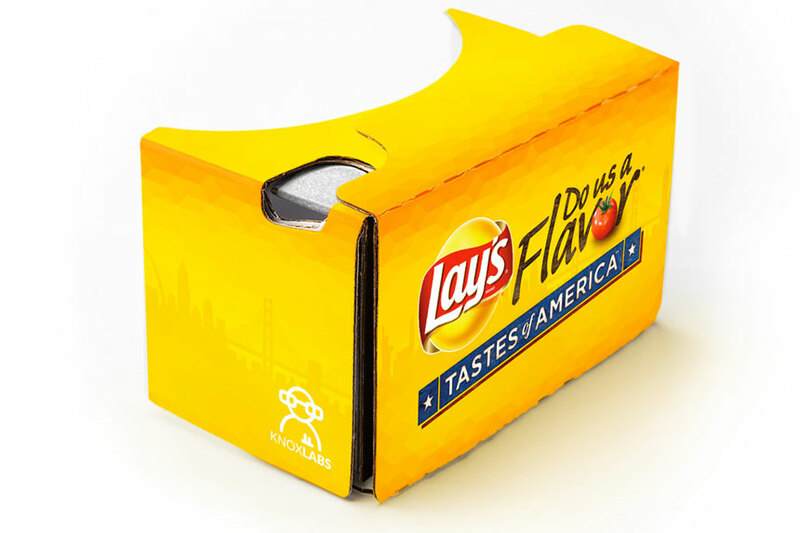 Learn more about Google Cardboard here.